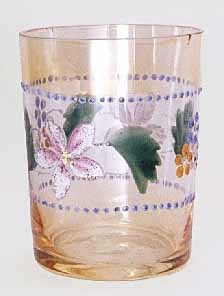 This marigold tumbler with an enameled band of flowers and beads sold at a 1998 auction for $40. The maker is unknown. 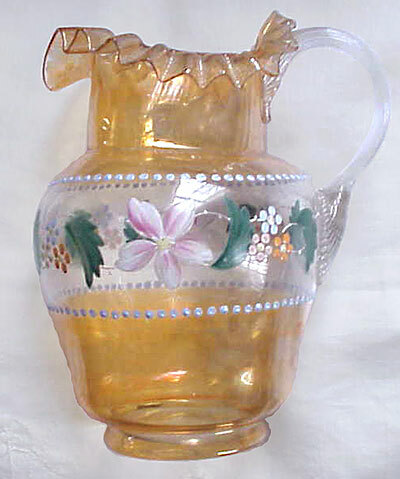 This photo of water pitcher in the Beaded Floral Band pattern is courtesy of Chuck Hollendbach.